Hope I put it in the right place! Before starting, I would like to mention, that a lot of these are my own personal views and guidelines on how to RP a Necromancer, or at least good to know stuff for the beginner. It doesn’t mean that you can’t or shouldn’t RP by your own guidelines, or follow someone else’s guidelines. These are merely my tips and thoughts, and some good to know things! A necromancer is a type of sorcerer or sorceress that commune with the dead in one way or another. They are practitioners of the dark arts, summoner of minions, casters of rituals; they rend their enemies’ souls and uses blood magic for sacrificial acts. They feed on life force, which they can use offensively or to delay their own deaths. A necromancer corrupts the living and conjures up devastating spells that can freeze their victims with the icy touch of death, or fear their foes into having a heart attack. 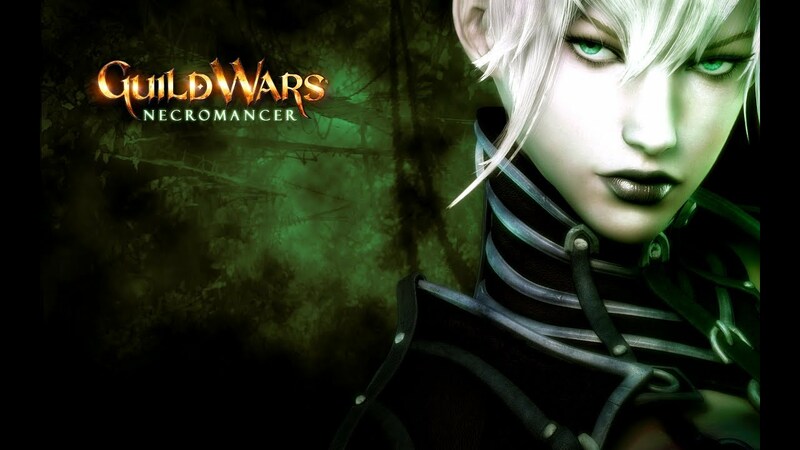 Their mastery over death means that the necromancers are among the most feared practitioners of magic on the battlefield. They are a threat not to be taken lightly. As the main source of magical power for the necromancer, Life Force is a special type of energy that necromancers draw from their enemies. It can also be collected from other living things like plants and animals, or animated corpses fueled by said power source. Once they have collected enough life force, necromancers can use this energy to power different spells. Some can even enter a spirit form called Death Shroud that will make them slightly stronger for a certain duration of time. How long the necromancer manages to keep themselves in this form, or how many spells they can cast, depends on how much life energy they’ve stored. Secondary the necromancer can choose to draw out the energy of blood in a sacrificial manner to power their spells and abilities. The act of stealing life force should be viewed seriously, as it is an act of shortening someone’s life and sometimes killing a living being. Also, due to the sacrificial nature of their methods, necromancers must practice patience and self-discipline to survive. It would be most unfortunate to accidentally use too much of their own life force. The necromancer has many paths s/he can take when it comes to furthering their craft. Being a scholarly profession, necromancy requires many years of study to learn and master fully. And most, if not all only have time to truly master two of the specializations available while maybe being good to mediocre or down right bad with the others. Another choice would be to divide resources for learning and become mediocre in all of the specializations. Let’s just say that it is called a Specialization for a reason. Remember that this is a RP friendly view of the specializations in game, and that some of them blend with each other. Blood Magic – Focuses on stealing blood from others or sacrificing your own blood to heal and/or harm. Most often studied as a second specialization to any of the other paths as it is easy to pair up with to make the others more powerful. For example, it could be used together with the knowledge of rituals to create wells, or with Animation to give your minions the ability to steal health. Osteomancy / Flesh Shaping / Animation – The ability to infuse dead objects with life force and command them to bend to the necromancer’s will. Be it as making dead corpses walk or fashioning their own horrendous construct from flesh and bone. Some even use their knowledge in Osteomancy to build armor and, in some cases, buildings. The ability to make sand shades fits within this category as it is the skill to infuse sand with your own life force. This skill should however be considered something only an Elonan would do, as central Tyria doesn’t have that much sand to begin with and a Krytan probably wouldn’t find it that helpful. Or at the very least, very rare. The skills to animate objects are still widespread and I am sure there are adventurous necromancers that have tried to animate all manner of different things. Soul Reaping – This choice of specialization focuses mostly on the ability to steal and use life force and how to make spectral abilities stronger. Curses – Here belongs the knowledge of dark spells that corrupt and twists the living. As well as the ability to draw marks that take effect first after triggered, much like traps. Rituals – Spells so big that they require powerful rituals to be cast. They often require ingredients and more than one necromancer to be successful. Spectral Magic – Is the ability to use otherworldly energy, most likely from the Underworld. In this category spectral grasp and armor belongs, as well as the ability to chill with the touch of the grave. Even those that have mastered the art of death shroud are most likely masters of this path. The necromancer adept in Spectral Magic will probably have an easier time communing with ghosts. Death Shroud, are considered included in one or more of the chosen fields above, and requires a most skillful necromancer to perform. The same goes for Reaper and Scourge as they are more titles than anything else. As a Reaper you not only are able to enter shroud but have also learned to fashion your life essence into a large and deadly weapon to strike foes with. A reaper is also so incredibly skillful that they can perform certain spells with only their voices, without any hand gestures or required rituals. The Scourge, as earlier stated, is a necromancer from Elona that have learned to infuse the desert sand with his/her life force, creating sand shades to guard against or damage foes around them. The nature of these skills also lets the Scourge shield people around them more easily and spread torment my reaching into the Realm of Torment. Believed to have originated from Joko and his Mordant Crescent. An extra mention about the Lich ability. 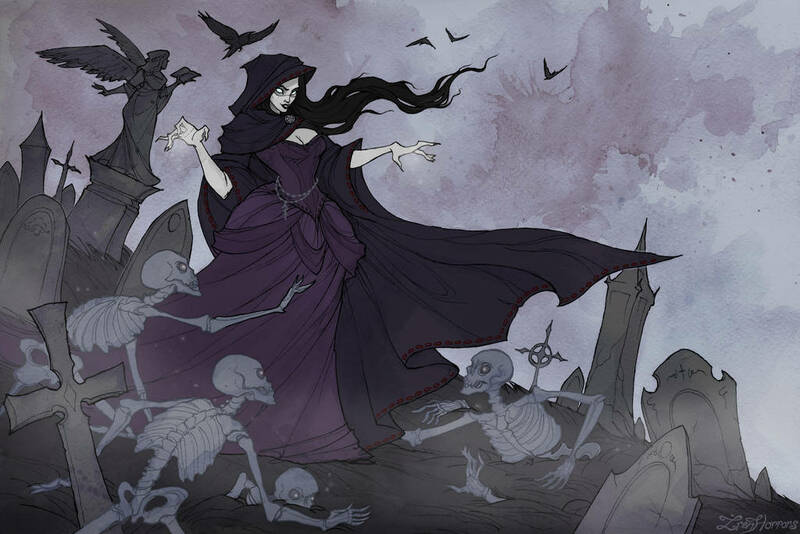 Liches are dead, or more precisely, undead necromancers. You can’t become a Lich for a short duration of time and then turn back to Human again. That’s just an in game mechanic for gameplay. The lore in the world states that this is a permanent transition, so it would be advised to not RP that it is an ability your character has. Because of the high concentration of Magic on Tyria, all living beings have a natural ability to access and use magic. It is extremely rare that someone is born without the ability to use magic, current theories suggests that this typically happens when the world is low on magic. There a countless of ways to utilize magic. For example, some learn magic from teachers or mentors, others, like the Zephyrites utilize artifacts to channel their powers. Some go at it alone, developing their own style and relationship with magic. Most creatures are able to use magic from a very young age. Humans and norn will cast their first spell in the home, under supervision from their parents. And most charr will hone their ability in the Farhar, and magic can first manifest as a survival mechanism of even a toddler. Greater magical talent must be honed in early age because uncontrolled magic of even a novice can cause terrible destruction. A persons magical ability seems to be determined by their location in relation to the ley lines that channel magic around the world. Magical capacity can also be inherited from the child’s parents. Most users of magic seems to aim to become highly specialized rather than only moderately proficient in many of the schools, and the risk of magic becoming uncontrollable becomes greater the more one practices different forms of magic together. It is also possible to infuse objects with magic. Signets, for example, are special tablets that are able to hold magical spells for use by individuals otherwise unskilled in the use of magic. The mind is a powerful and fragile thing in the world equation. It can move mountains or it can be shattered like glass. It is stated that you can’t use magic for larger things without some kind of focus, in most cases a weapon or a staff. But it would probably work as well with a piece of jewelry. The important part is that you have something to focus your magic with. I would also imagine that different objects are easier to use than others, and it pretty much comes down to your necromancer’s preference. It is easier to stab someone with a sharp knife than a blunt mace. You can still make your way through, but it will require a lot more work. But just as there are sources for having to have a focus we constantly see examples when it isn’t used. Often this is spells or abilities that only require a physical movement or spoken words. Like the ability to portal forward, also called Blink, that mesmers have. Or the ability to steal life energy, would most likely require high concentration and your own hand to focus on the right object, unless a Master on said ability. The god of darkness, ice and death, is the patron god of human necromancers. He rules the domain over mortality and judgement, and is the patron of strict ethics. He is attributed with the judgement of the dead, vengeance, and destruction, alongside darkness, ice and death. Grenth’s body looks to be that of a human wearing the skull of a fallen beast and is often depicted with the dead crawling for his acceptance. He promotes the casting off of illusions and encourages the perception of the world as it truly is. He also promotes not fearing those claimed to be divine, and his followers seek to cast down false deities. Grenth is also known as: Lord of Death, Defeater of Dhuum, Lord of the Seven Reapers and Prince of Ice and Snow. Also known as the Realm of the Dead, is part of the Mists and the realm of Grenth. It is where all newly dead souls are brought before they are sent to their final destinations. It is divided into several sections, the Ice Wastes being only one of them. Prior to the silence of the Six Gods, adventures were allowed to travel to the Underworld. But the constant traveling caused the barrier between the two worlds to loosen, allowing Godslost Swamp, as well as other areas to be overrun with portals to the Underworld. All over the world, several creatures from the Underworld has been encountered stepping out of portals. The most common of these are; aatxes, shades, imps and fleshreavers. Everyone views necromancy, if not magic, in a different way. Asura – Being short little scientists, and often caught experimenting on other lifeforms. Asura are the most likely to not have a problem with necromancers. Even merging it with fields like Golemancy, it’s a tool, and tools are made to be used. Sylvari – Despite the kick start of knowledge from the dream they still seem naive as there are some matters which seem beyond their comprehension. Death is not fully understood but viewed as something to be embraced and, as with many things in a sylvari's life, it is viewed with a great degree of curiosity. These views serve to form an acceptance of and fascination with death that other races may find disturbing. Charr – Probably less likely to be a necromancer since many view the use of magic as a sign of weakness, and will distrust magic-users as a whole because of their earlier oppression by the Flame Legion. Norn - A race of shape-shifting half-giants from the north, the norn have always been a nomadic people focused on hunting and individual goals and pursuits. They revere the spirits of animals and call on them like shamans. It is very individualistic what they think of necromancers in general. Perhaps a follower of Bear will think less of them than a follower of Raven. Human – As historical followers of the six gods, they have their own patron god of Death, namely Grenth. Many priests and priestesses of Grenth tend to be necromancers and as long as you don’t raise someone’s mother or walk the streets of Divinity’s Reach with nasty minion on your heel, most people don’t care about your profession. 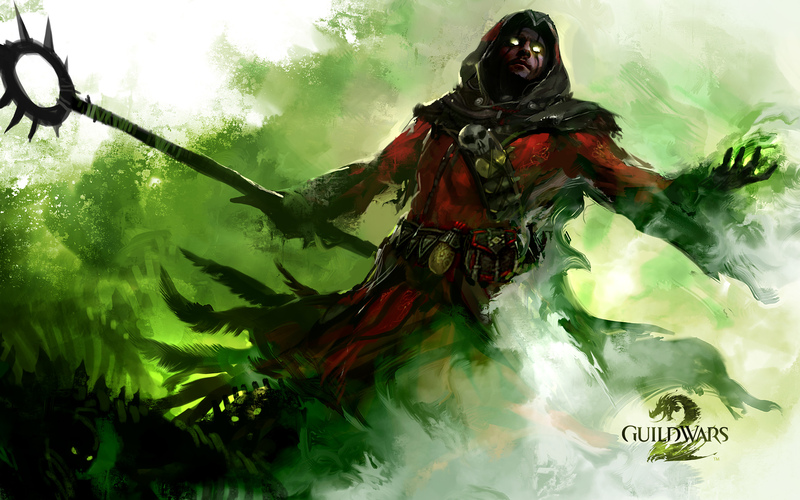 It is first when there is a plague or people disappear that the necromancer is the first to be blamed. There is a lot to think of when making a character’s personality. The more you have fleshed it out the easier it will be when you are thrown into different situations. Here are some points to think about. •	How old were they when they were first introduced to necromancy and how did they get into it? •	Why are they studying necromancy? •	Where did they learn necromancy? A spooky book, or a teacher? •	What were the consequences of studying necromancy? •	How far are they willing to go? Kill innocents? •	Where are your character from, did they have necromancers around them growing up that influenced in some way? •	What environment did they grow up in? •	Do they have a family? Where are they? What do they think of your character’s magic? •	What are their morals? What are their ideas on honor and respect? •	Are they squeamish? Does blood and corpses disturb them in any way? Dealing with death is gruesome work. Make sure to give your character traits and flaws. Remember that your character is more than just a necromancer, they’re actually a person too! How strong should my necromancer be? It varies greatly depending on individual and background. How old your character are, how long time they’ve had to study. Do they have powerful necromancers in their family? How well are s/he at, or interested of, studying? Did they have to sneak with being a necromancer or could they study to their hearts content? A lot decides what a person knows. As well as the different difficulty of different spells. Did your necromancer just start their studies or have they reached the rank of apprentice? All this will affect how well the necromancer cast a spell or if s/he knows it at all. For example, just imagine the knowledge you need to have of anatomy to heal someone? You don’t just want to heal them back as a lump of flesh, you want to connect all the different nerve endings and muscles correctly. Or the mathematics required building, lets say a minion of bones, for it to be able to even function and walk properly. Or the hours upon hours it would take to learn how to use life force correctly, so you don’t accidentally kill someone on the street and ends up chased by torches and pitchforks. Or kill you self by using too much magic, the source of a necromancer’s magic is after all coming from themselves and their pool of life force. Use too much and there will be consequences. Magic and science pretty much goes hand in hand, and one can be used to make the other better. Simply put, to be good at something requires work. For RPs sake there is a lot to play with here, a lot that can make your necromancer fun and interesting to interact with. But to answer the question, don’t be over powered. Lose sometime. Fail a spell. Often things like that invite to more RP and are funnier to play with than with someone that always succeeds and are the best at everything. One necromancer, no matter power, could wreck an entire village. It’s all about smarts. Hell, just look at Joko. He was a mortal necromancer before ending up ruling Elona. (But he is also crazy old and had time to become that powerful) RP is all about the journey, how do you learn and what, and from who? A good rule when creating your character would be to add a weakness for every strength, to not become too powerful or be viewed as boring or silly. Let’s find an example, okay, you know when you jog in a steady pace and can go on for super long. But if you run like crazy and only have the stamina to go on for maybe a third of that distance? It is the same to use magic. Use too much and you will feel fatigued. What is it you are trying to do, and how hard would you imagine it to be? Remember that it takes less time to fill a bucket with water than a bathtub. Meaning that raising a corpse, probably takes more time than casting a putrid ball of death. Using magic and casting spells needs a tremendous amount of focus and discipline, and if something goes wrong, guess who the victim is going be? So a necromancer that is preoccupied controlling several minions would probably have a hard time to do anything else at the same time. Ever tried to listen to someone telling you to do something boring and watching your favorite tv show at the same time? Most, if not all, forget more than half of what the other person said. What fits your character? Remember that not all necromancers are or has to be edgy edge lords that only wears black. Is s/he a noble or a commoner? What suits their personality? What’s their favorite color or pair of shoes? Does they like the feel of silk or do they like armored gloves. Why would they need armored gloves? Just as necromancers don’t have to be edgy, they also don’t have to be evil. Just as with all mages, they don’t need to be skillful with or interested in battle magic. Some are simply healers or people trying to get by in their ordinary day to day life. I am not saying that it should be avoided to make black clothed evil necromancers; I am just saying that it is interesting and fun with diversity and in the end it is all about what you think is fun to RP. So to say that all characters (and for that matter, all people) are good or evil would be an oversimplification. Firstly, evil characters usually do not consider themselves to be “evil”, and may actually consider themselves to be “good”. These characters may believe something is “right” and defend it in a fanatical way. They may appear “evil” to opponents or onlookers, who they conversely perceives as misguided or “evil”. Their actions may be caused by insanity, by their foul temper, or by their belief that the end justifies the means. Alternatively, a character with “evil” or selfish motivations may perform so charismatically that others believe s/he is “good”. There are many shades of grey and dark grey in every personality and it is important to remember that your character’s motivations are key to creating a believable persona. Sometimes, the “evil actually IS the good guy. Again this is only my own view of necromancy in RP, and hopefully it will help someone that is new to roleplaying a necromancer. Please let me know if something is completely wrong or if you have any questions about something!